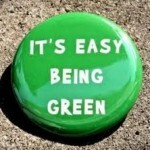 We’re not sure it’s easy being green but it is surprising the changes that can be made once the mind is attuned. We are happy to report that the Staff Energy Awareness campaign that we held pre-Christmas has had a couple of positive knock on effects. Our Business Manager suggested we move over to green payslips, ie email versions rather than hard copy. All staff were happy to go along with this, agreeing that they would be far easier to file apart from anything else! Going paperless across all our services is something we are now aiming for. Our contracts have been successfully paperless in Education and we are now investigating paperless contracts for our Property team. We’ll let you know how this progresses. 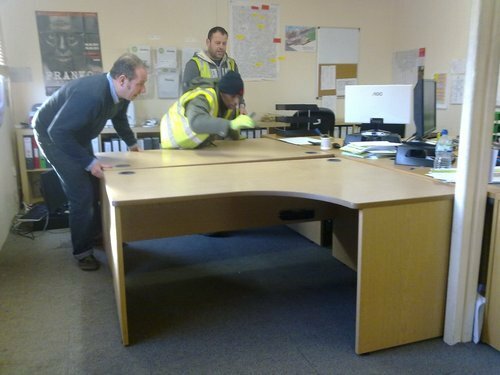 And last week, staff changes meant that we had to source three new desks to replace a couple of big old beasts. We researched the costs and found that there was not much difference between buying new and second hand. We decided to go with second hand in line with our sustainability principles. The company we used will be re-using/recycling the old desks. So whilst it’s not always easy, hopefully the above examples show that there are some simple changes you can make to make the world a little greener.